This was series of drop-in courses held at The Christie from 2011-2012. Facilitated by Annette Dunn and Tim Duerden, volunteers with the Complementary Therapy Service at The Christie. There are no new dates available at present. These sessions all have a common theme. When we are bothered or hassled by difficulties in life, or when we are struggling, we tend to experience unpleasant or distressing thoughts, feelings and bodily sensations. The result is that we not only experience the original difficulties but we can also feel burdened by our unpleasant reactions. Our immediate and understandable reaction is to try to push these unpleasant reactions away, or to try to ignore or control them. This can work for a while, but we easily get bothered by these reactions again and struggle with them more and more. In time we can become exhausted by this ongoing struggle as more and more of our time and energy gets invested in trying to keep these unpleasant reactions under control in some way. For example, if we experience disturbed sleep our sense of wellbeing is affected. The longer we struggle to get to sleep or stay asleep the more we may start dwelling on our insomnia, getting anxious about its effects, worrying about it. Quite soon we can start dreading going to bed with the prospect of another night spent struggling to sleep. So now there is not only the original insomnia which is difficult enough, but we are also carrying the burden of all our worries, anxiety and dread about whether we will sleep or not and the effects of not sleeping. We are now in a battle with ourselves, struggling against our own reactions to the original difficulty. 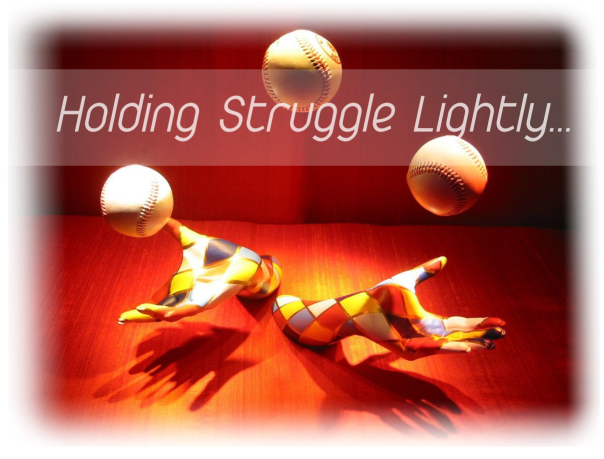 Easing Struggle offers simple approaches that change how we relate to what we find difficult so that we don’t exhaust ourselves by struggling against our reactions to what is happening. This is not about sorting out the original difficulty – there are other services that focus on that. This is about discovering our innate ability to find a restful way to be in the midst of the difficulties we may be facing. Spending even short periods in this more restful state can have profound effects on our overall wellbeing, as we are more able to access our inner strengths, resources and creativity. This opens up new ways of responding to the situations we find ourselves in and we can experience much more fulfilment in what we do. Central to this approach is developing an ability that we all have to choose what we pay attention to in any given moment. 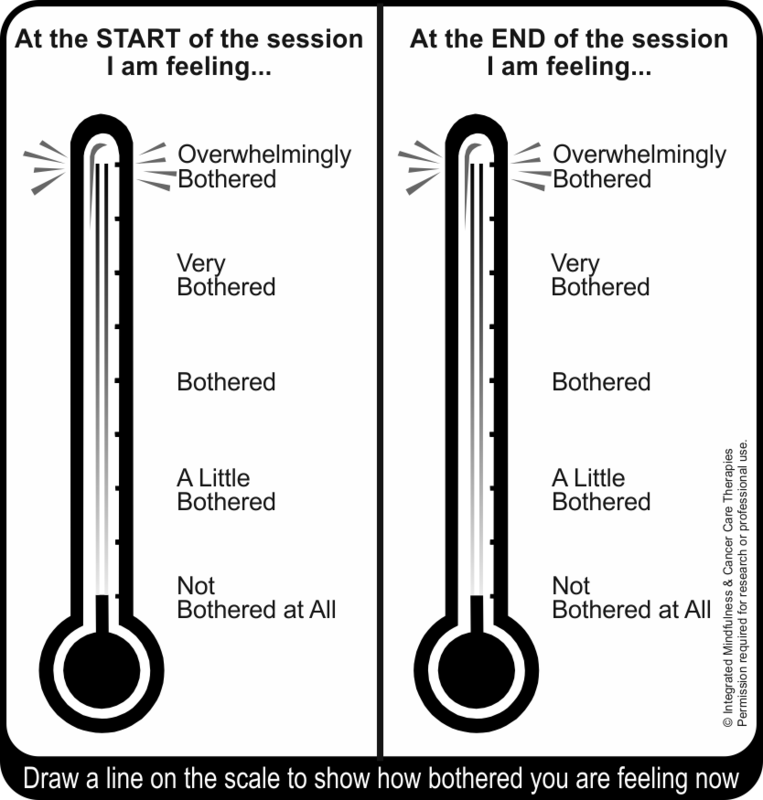 As we discover in the sessions, we easily get drawn into automatic reactions and thoughts. The simple exercises we explore on the course develop our ability to notice when this is happening and strengthen our ability to direct our attention to where we want it to go. Over the course of the four sessions we offer the opportunity to develop different aspects of these skills – but as each session is self-contained you can learn some of these approaches in just one session. There is an introduction to using these audio files here: Friendly Foregrounding Introduction. [Click This Link to Download]. Note that you need to be registered with the site to download these files. The recordings below are freely available for use by participants of the course. You need to register with this site to download the links to these recordings: you can register here. Registration is a simple automatic process – you register a username, password and email address then the website sends a confirmatory email that has a link to click. Once clicked you are all done and can log in with your username and password. The recordings below were given out at Session 1. This provides an introduction to choosing your own focusing anchor. Probably only useful to listen once or twice to get familiar with the process. This is a guide to using a focusing anchor once you are familiar with choosing one. It is quite detailed – while the practice is simple and quick to do it takes longer to describe it. You will probably find it helpful move to the less detailed recordings once familiar with the overall approach to using a focusing anchor. This has longer periods of practice with the anchor and less description of how to work with an anchor. This has very brief description as it assumes familiarity with using a focusing anchor. This has the same very brief descriptions as the 5 minute version above but longer silent periods. This has minimal description and is a very brief practice. This is a helpful one to get familiar with to do anywhere. This is a longer practice that progressively takes the attention from one area of the body to another. This version of the body scan suggests using an area of the body that has comfortable sensations as a focusing anchor to use during the practice. This track explores setting up this comfortable focusing anchor and details its use. You may find it helpful to move on to the other tracks when you are familiar with this. This track has more time focusing on the different body areas and less description of setting up a comfortable focusing anchor. This track assumes familiarity with doing the body scan and has very little additional guidance. This is nothing but silence. This is handy to put after track 10 if your player has a nasty habit of shifting along to the next track after the one you are listening to ends – can be a shame if it wakes you up. This lasts eight hours so should be more than enough to prevent loud surprises. For copyright reasons we should state that the first 4 minutes and 33 seconds are a different silence to John Cage’s Silent Symphony! Tracks 1-6 above on using a focusing anchor support the first half of the second session. The second half explores using the breath as a focusing anchor and the following three tracks offer exercises to do this. For some people this is very helpful – and for others the breath is not such a helpful focus. It is important to trust your own experience here. The second half explores using our bodily reactions to thoughts and feelings as a way of stepping away from the struggle with worries and other distressing types of thinking. The following two tracks offer exercises to do this. An introduction to deliberately bringing the awareness to physical sensations arising with thoughts and feelings. This is a practice that can be done sitting or lying that helps you ‘find your feet’ when thoughts or feelings seem overwhelming. This is a session evaluation tool we are trialling as part of this course. At present its use is restricted to use by the Complementary Therapy Service at the Christie and use by Integrated Mindfulness. Once through initial evaluation more information will be available and partners interested in working with us to develop the evaluation tool will be welcomed. A between-session version will be available here shortly. The website Thought on a Thread offers some very helpful practices that are discussed in more detail in Trish Bartley‘s excellent 2011 book: Mindfulness-Based Cognitive Therapy for Cancer. A sample chapter is available here. The Complementary Therapy Service at The Christie offer a wide range of excellent courses, workshops and training days: these are detailed here. As part of their 2012 programme, Tim and Annette are offering a 2 day introduction to mindfulness based approaches for health professionals on 7-8th July 2012. You can book on this via this website: the event page is here. Easing Struggle by Integrated Mindfulness is licensed under a Creative Commons Attribution-NonCommercial-ShareAlike 3.0 Unported License. Based on a work at http:\\integratedmindfulness.com. Permissions beyond the scope of this license may be available at http:\\integratedmindfulness.com.